If you haven’t read Chapter 1, make sure you read it first. Find it here. Ebook and paperback on sale March 30, 2019. An annual tradition. A few fun-filled days of adventure. A peaceful, pristine mountain covered with fresh snow. A mysterious disappearance. An untimely death. Wesley tried not to look at his hand as his doctor worked on it. Acid crept up his throat after he inadvertently caught sight of exposed bone and he turned his head away quickly, squeezing his eyes shut. Fingers were not supposed to look like that, especially if they were attached to his hand, his body. The image of those huge, menacing teeth haunted him. They grew larger and more threatening every time he replayed his memory. He pictured those teeth — now six inches long — hovering right in front of him, in a mouth that could easily bite off his entire head. Snapping and growling, its hot breath blew his dark hair back while he stared directly into the monster’s mouth filled with multiple rows of serrated teeth. A long, razor-sharp claw emerged from nowhere and took a swipe at him, but after finding a magical sword nearby, he swung back and kept the beast at bay. Wesley had always had a wild imagination. Once, he had even convinced himself that he was the sole heir to his family’s enormous fortune because his older brother, Ben, was actually illegitimate, conceived from an affair his mother had had when she was vacationing alone in Sweden. The idea had come to him in a dream in which he had overheard his parents having a heated argument: “Where did he get light hair and blue eyes from when everyone on my side of the family all have dark hair and dark eyes?” Why did you insist on going on that trip to Scandinavia alone?” “What exactly did you do there for three weeks?” The scene was still vivid in his mind and he thought of it often, especially when he was angry with his brother. He had confronted his family with “the truth” years ago, but his father had dismissed him immediately with only one ominous response. “Never speak out against your family.” Wesley wasn’t sure if he had been right or wrong about the memory, but he never spoke of it again with his parents. As he walked outside his home, he let the door slam behind him, which jolted him back to reality. With pain meds coursing through his body, his left hand in a cast and one of his father’s high-powered hunting rifles in his right, he knew what he would do to that thing that had caused him so much distress. But maybe a round to the head would be too quick and painless, he thought. No, he had to come up with something more appropriate. After all, he was just minding his own business and now he was injured. He had suffered. And now that thing had to pay. Fair’s fair. A quiet growl warned Sam to stay away. Her nerves fired and her pulse took off in a sprint. She stumbled backwards over one of her trekking poles, snapping it in two. What had she just gotten herself into? A lightweight pole wouldn’t defend her from an angry squirrel. And this was no squirrel. She examined the creature’s face. Wesley was right about one thing, she thought, he did look a bit like a zombie. He was huge, but his muzzle was too short for a wolf or coyote. A dog? That was it. But what kind of dog was he? What was he doing here and how did he end up in this condition? What was his story? Sam knew the answer only to the last question. It was sad. The dog’s ear twitched and he grew quiet. He seemed to be paralyzed, except for his large, soft eyes, which followed Sam wherever she went. They expressed a sort of pleading wariness that reminded her of some of the rougher-looking hitchhikers she’d seen on the highway, desperate for a ride, but not from just anyone. He let out a little mewl and she soaked up a good, long look. As gruesome as he appeared, as fierce as he had sounded and as foul as he smelled, there was a terrified, vulnerable soul deep down inside. Long, soft whimpers that sounded like high-pitched whistles were now coming from the dog. Sam couldn’t understand how something so weak, something that looked more like a carcass than a wild predator, could attack anyone. Especially Wesley Black. The Wesley Black who was known at school as the boy who was bullied once, and only that one time. The boy who got sent home and was laughed at after the attack because his pants were soiled, who swore revenge upon his return, who did come back almost immediately with a little “help.” The Wesley Black, who got his revenge and showed everyone he was not to be messed with. But all that didn’t matter. The dog was sick, desperate and probably dying. He was the one who needed help now. And Wesley Black, the boy who had threatened to kill this dog, the boy who was not to be messed with, was coming back. “This is gonna be siiiick!” Wesley exclaimed, his face unnaturally close to the camera Drew McConnell was holding. “Yo! Get another look at this too.” Wesley held up the rifle and swivelled it around to show off its different angles. “We’ve got a shooting range too,” Wesley said, pulling the camera to his face. “Naw, man.” Ben Black pushed the camera away with a sheepish smile. Wesley threw up his injured arm and scowled directly at the camera. “No, I’m just here to make sure my little brother doesn’t end up killing himself. And to officially say, I tried to talk your son out of this, Dad.” Ben smiled at the camera. “Shut up, Ben. No one cares about what you have to say,” Wesley said. 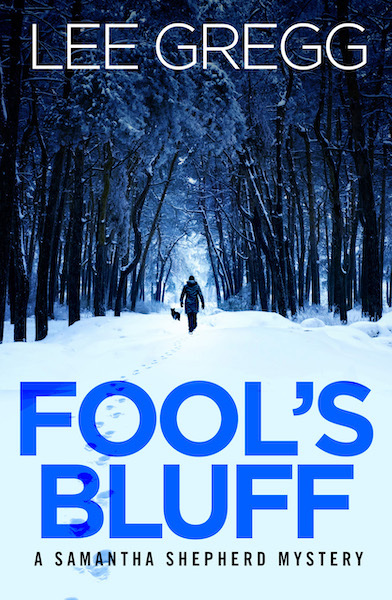 What do you think about Fool's Bluff so far? 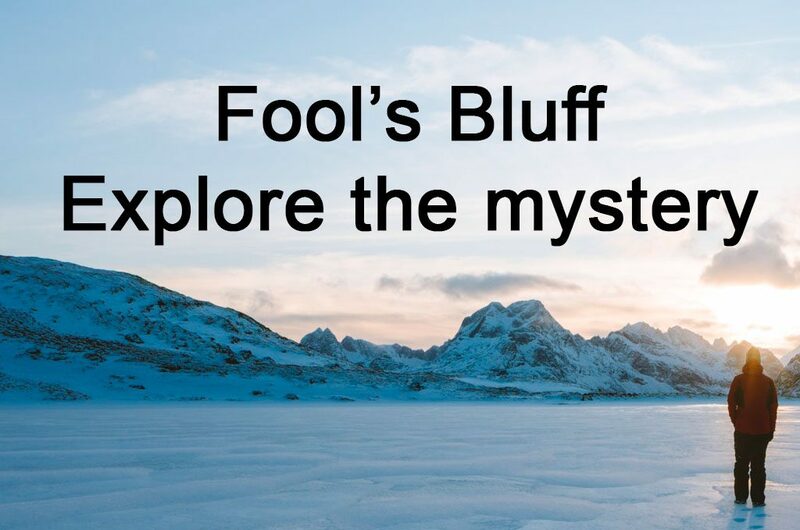 Share your opinions with the Fool's Bluff Book Club!